Jem® - Celebrating Father's Day at Song Fa! Celebrating Father's Day at Song Fa! Show Dads just how much we appreciate them! Receive an exclusive Royal Black and Gold Father's Day Mug with a minimum spend of $50* at Song Fa from 13 June 2018 onwards. While stocks last. Song Fa wishes all dads a Happy Father's Day! 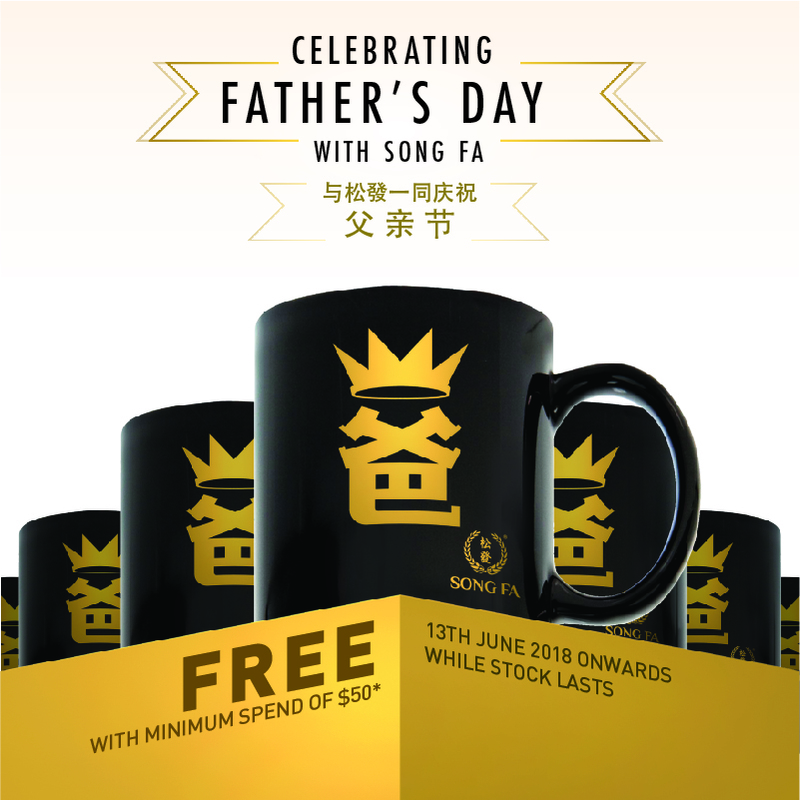 Let us show Dad just how much we appreciate him this Father's Day by treating him to a meal at Song Fa, and receive an exclusive Royal Black and Gold Father's Day mug when you spend a minimum of $50*.